Your roof is one of the most prominent components of your home’s exterior, which is why it’s important to carefully consider the color, style and texture it should have. Here are a few tips from expert roofers, LASK Roofing and Siding, Inc. When choosing color combinations for your siding and shingles, a basic rule is that dark-colored siding goes well with a light-colored roof, and vice versa. This creates an appealing contrast that helps your home stand out. While contrasting colors are good, clashing colors are not. You want your roofing system to complement the other components of your exterior, not clash with it. If you’re worried whether certain colors would clash with your siding, consult your roofing contractor for guidance. Different architectural styles tend to feature certain color palettes. For example, Mediterranean style homes often feature red tile roofs, while Colonial homes tend to feature more muted colors. Your contractor can help guide you if you’re not sure what color would best suit your home’s architectural design. Alternatively, you can also look for inspiration online. 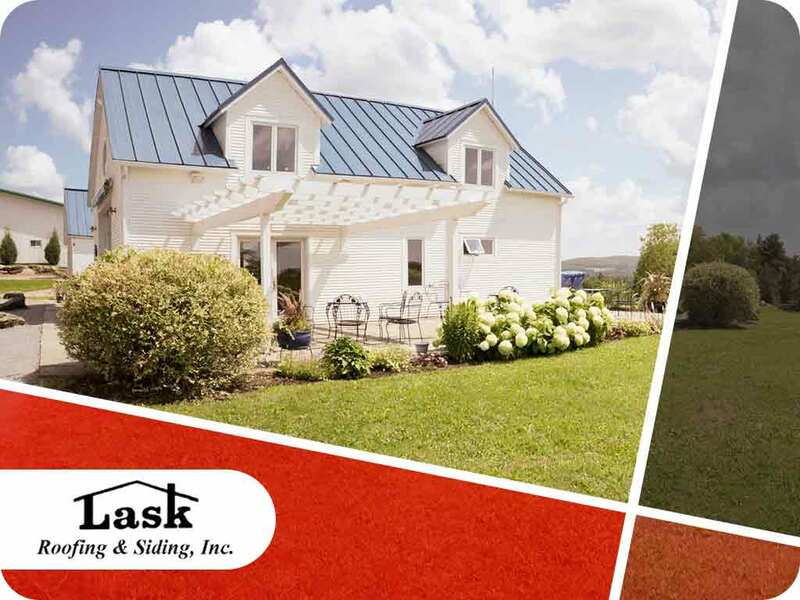 LASK Roofing and Siding, Inc. offer various services for your roof, doors, gutters and siding. We can complete any home improvement project with excellent results. You can call us at (815) 788-6699 for more information or fill out our contact form to receive a free project quote. We serve homeowners in Rockford, IL.